Carpeting is a major investment in your home. The premature demise of carpets is not the result of foot traffic; rather it is most often associated with trapped soil in the carpet fabric. Daily vacuuming with strong suction and rotating brush machines removes up to 50% or more or the soil that falls onto carpets. However, to achieve the removal of 50% or more of the soil with routine vacuuming — up to four back and forth strokes of the wand across the carpet, is sufficient for low traffic areas. Up to ten wand strokes may be needed at outside doorways and other high traffic areas. If you are finding that no matter how much you vacuum, your carpets and furniture still do not look like they used to, it is probably time for a deep professional cleaning. K & L Carpet Cleaning hot water extraction method makes the difference. We use state-of-the-art truck mounted carpet cleaning system especially engineered to provide hot water cleaning power. Hot, soft water and Scot's Tuff cleaning products are injected deep into carpet fibers. 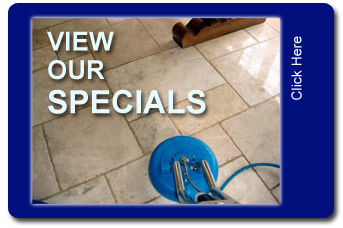 Special attention is given to stubborn spots and heavy traffic areas. Ground-in dirt and soil is loosened and lifted. Powerful suction extracts deep - down dirt, cleaning solution and 95% of the moisture - for fast drying time. Our process removes dust, mites, allergens and other microscopic pollutants that collect in your carpet and may trigger allergies and other breathing problems.